UFO SIGHTINGS DAILY: UFO Disguised As Cloud Disappears in Seconds When Caught On Video, July 31, 2018, UFO Sighting News. UFO Disguised As Cloud Disappears in Seconds When Caught On Video, July 31, 2018, UFO Sighting News. I love this video. 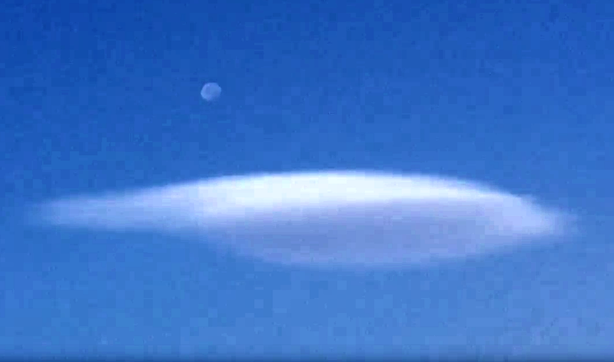 The eyewitness caught an actual UFO disguised as a cloud and on video it disappeared right in front of his eyes. This UFO must be equipped with an AI telepathy radar that senses peoples emotions and thoughts, programmed to filter out certain things and react on others. Here the UFO reacted when it was caught. Notice the other clouds just sitting still, not disappearing, staying the same...because they are real unlike this one. Aliens do make mistakes. This video is 100% proof of that. I saw the cloud and then decided to film it. As I did it completely dissipated.